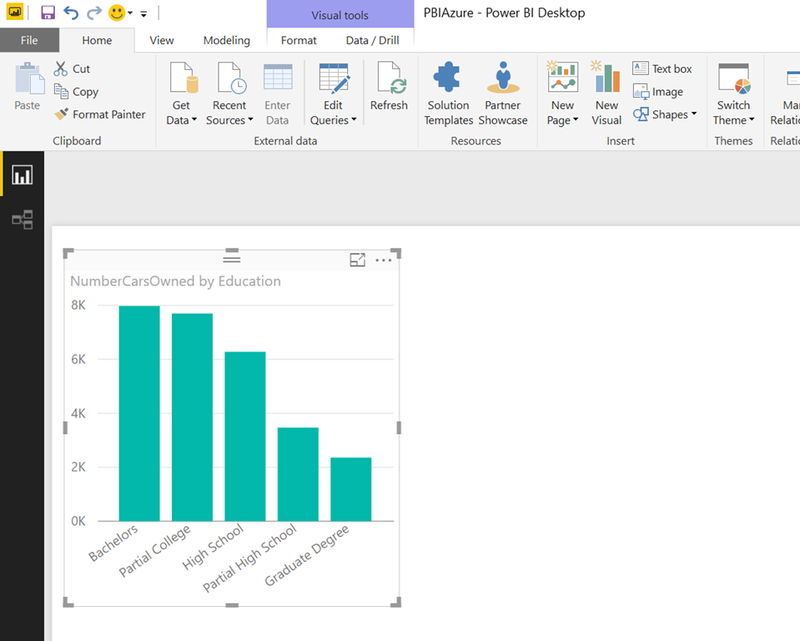 One question that comes up regularly is how to use the firewall option of SQL Azure to open access to just Power BI. 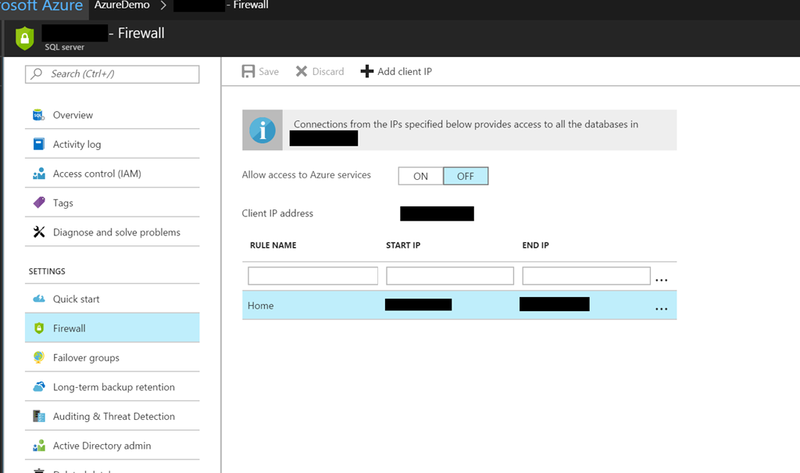 Now to use Power BI in general you can use the “enable azure services” option but for some customers this is not enough, they want to control the specific hosts (ip address) that can connect. 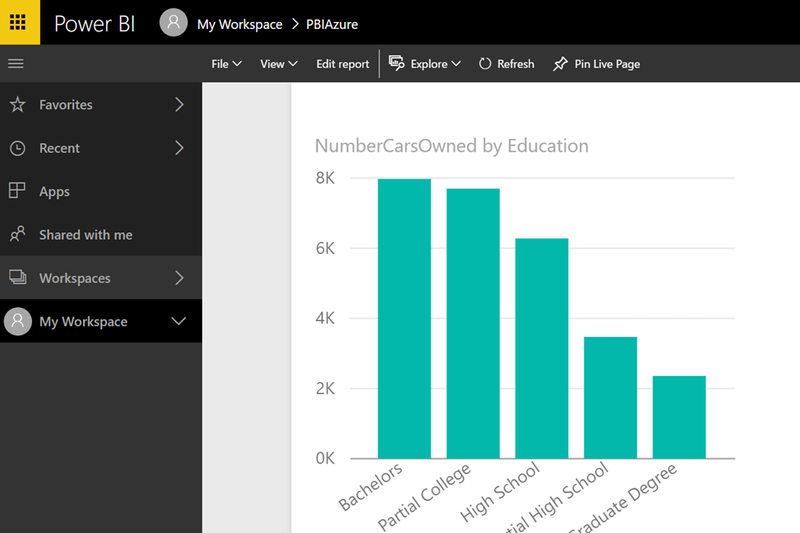 Unfortunately at the time of writing Power BI doesn’t support having a single IP address, due to the elasticity of the service the connection can shift between the internal machines. This means that you need to use the whole Azure IP range for that data center in the firewall (as described here), again this might not be enough for some customers. 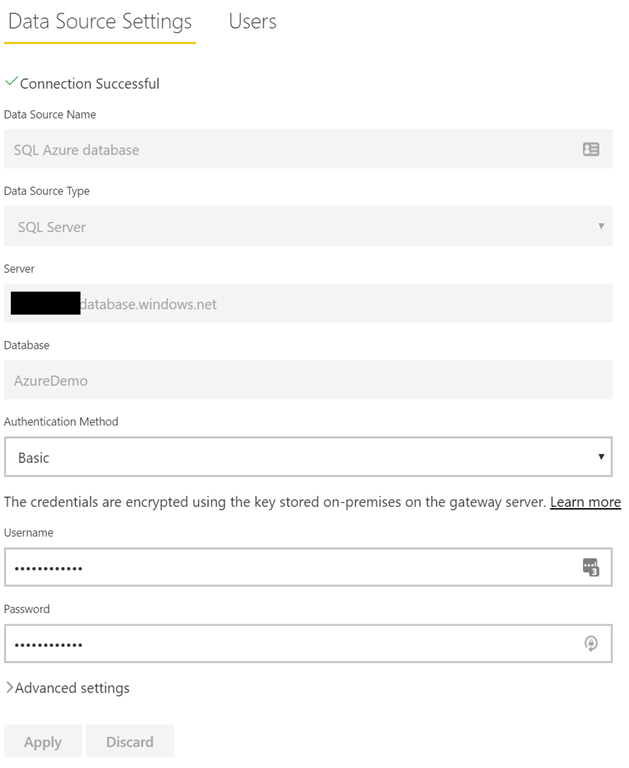 Luckily the data gateway team implemented a feature not known by many (hence my blog post today) and they enable you to use a gateway for SQL Azure databases instead of going direct using the cloud refresh services that is part of Power BI. Of course there will be some additional latency as you are adding an additional service in the mix, it is probably a good idea to run a VM with the gateway in the same data center as your SQL Azure database just to keep the hops as shorts as possible.